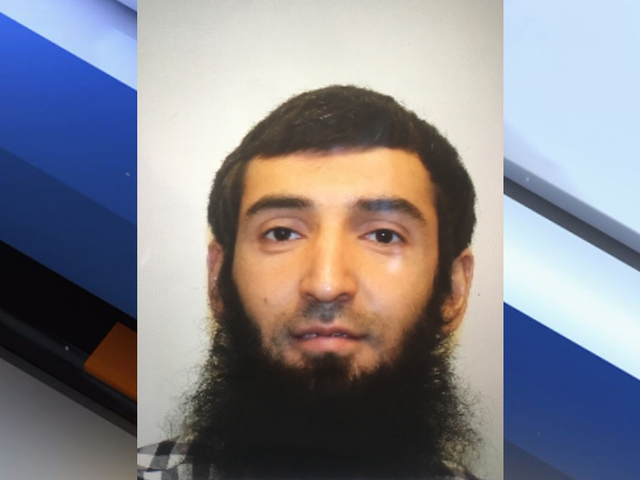 Multiple law enforcement officials tell ABC News that the suspect taken into custody in the New York City vehicle attack that killed eight people on Tuesday has been identified as 29-year-old Sayfullo Habibullaevic Saipov. Law enforcement officials told ABC News Saipov left a note at the scene saying he had carried out the attack on behalf of the so-called Islamic State, or ISIS. Saipov is from Tashkent, the capital city of Uzbekistan. He entered the United States in 2010 and has since become a legal permanent resident. He has lived in Ohio, Florida and, most recently, Paterson, N.J., where he lived with his wife and three children, according to a law enforcement official. He rented the vehicle used in the attack at a nearby Home Depot, the official said, where authorities are currently searching for leads in their investigation. ISIS has not claimed responsibility for the attack, but according to Rita Katz of the SITE Intelligence Group, which tracks the online activity of jihadist organizations, the attack “fits [the] style” of recent suspected ISIS-inspired attack throughout Europe.